As we draw closer to the big 25th anniversary of the Top Gun Scale Invitational, we are collecting more advance “intel” on the planes and the pilots who are planning to attend this world-class scale competition in Lakeland, FL. 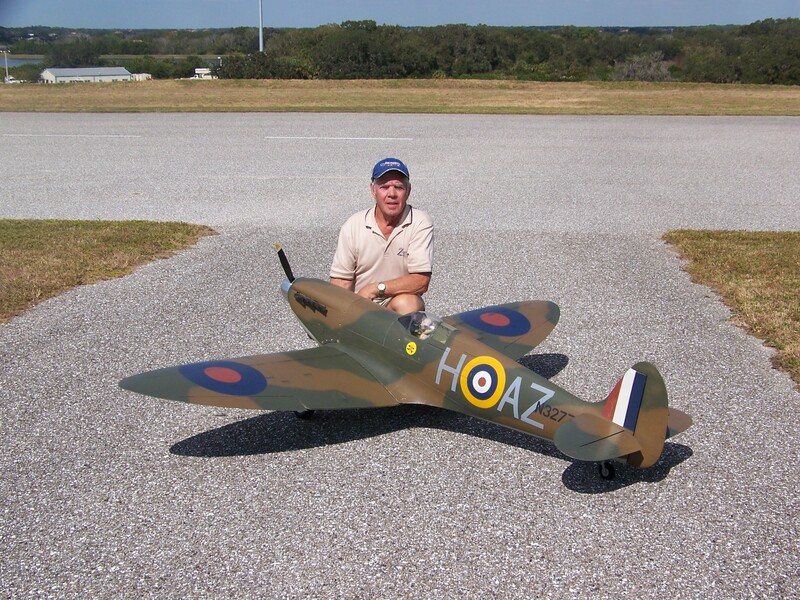 The man who practically invented giant scale RC warbirds and long time Model Airplane News contributor, Nick Ziroli Sr., from Sarasota FL., is attending the 2013 Top Gun shoot out and his aerial weapon is going to be his most recent design, a 1/5-scale Supermarine Spitfire Mk.1. Specifically it is built to a scale of 2.7 inch to 1 foot, has a wingspan of 100 inches, has a length of 82 inches and weighs in at 33lbs. Really Nice bird Nick. Good luck! 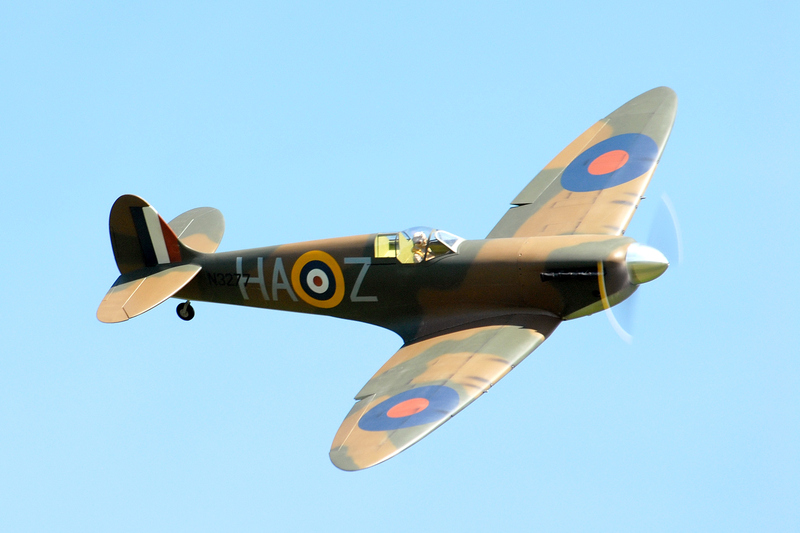 The standard coding for RAF fighters in 1940 consisted of a two-letter squadron code on one side of the roundel and a one-letter aircraft code on the other side of the roundel. 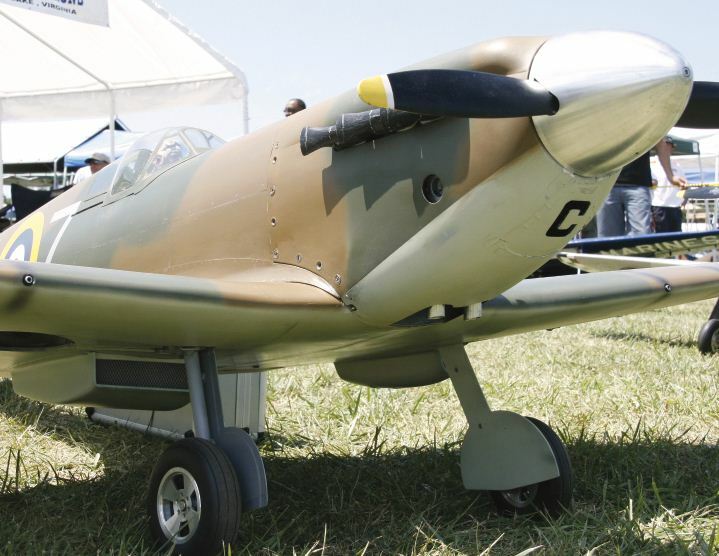 Nick Ziroli’s gorgeous Spitfire is either aircraft Z in squadron HA, as shown on the right side, or aircraft H in squadron AZ, as shown on the left side. 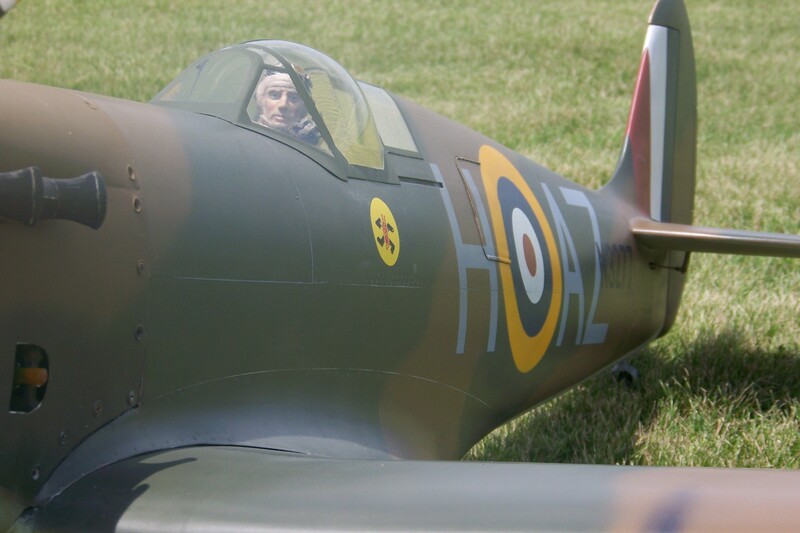 Of course, harried ground crews during the Battle of Britain could easily make such an error, and I assume that Nick has photos that show his Spitfire marked in this way. Another great plane from Ziroli!!!! Middle Wallop, Hampshire, UK, August 1940. Forced down near Cherbourg 15 August 1940, aircraft captured and re-engined with DB601 engine. I think the markings need to be re painted, highly unlikely that they were painted wrong by ground crew…..not sure if photos exist to show otherwise. Great job as usual. Now, when did you say your Hudson is going to be done? hi i am from colombia your plane is beautyfull good lock and good yor bless.